It is a delightful card. The main building – white painted and with decorative barge boards, is 21 Church Street. Other photos don’t show the trained tree on the end wall, but often tell us that this was the premises of Hopkins who were builders and merchants. We suspect that they occupied the premises then. They appear to have a good stock of chimney pots standing outside. 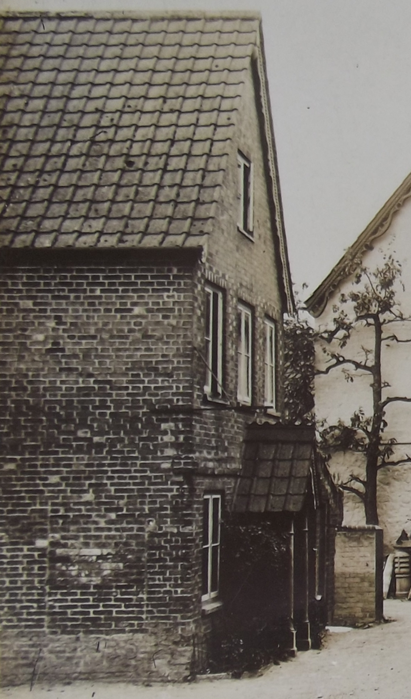 The building on the extreme left was built by the Hopkins family in 1884. It stands on the site of a former property once used as the village workhouse. 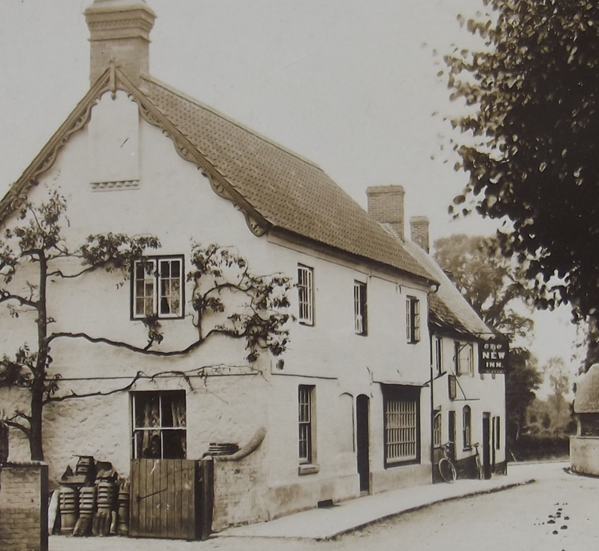 Both houses and the New Inn still stand and, apart from decorative changes still look much the same. Now the message on this card is of interest as well. 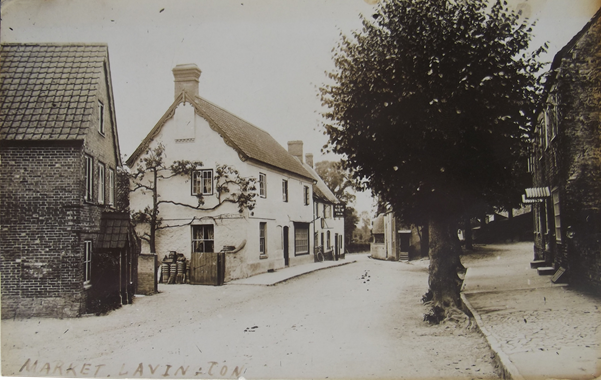 It may not have a lot to do with Market Lavington for it was posted in Cambridge in 1912. 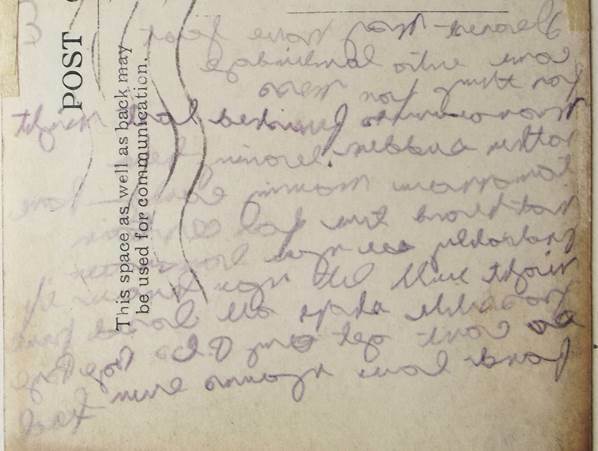 What makes this interesting is that the sender has written it in mirror writing. 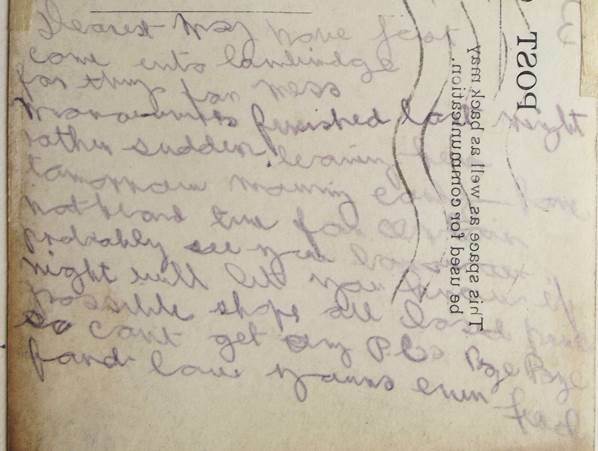 These days we can flip it digitally – and what with handwriting and fading it still isn’t easy to read! 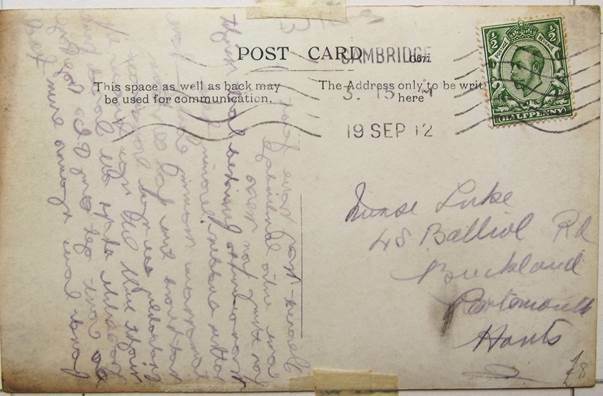 But it doesn’t seem to be any top secret message – rather it’s an apology for being unable to get a better postcard. We, of course, think they got a perfect one! This entry was posted on October 3, 2014 at 5:55 am and is filed under Museum. You can follow any responses to this entry through the RSS 2.0 feed. You can leave a response, or trackback from your own site.